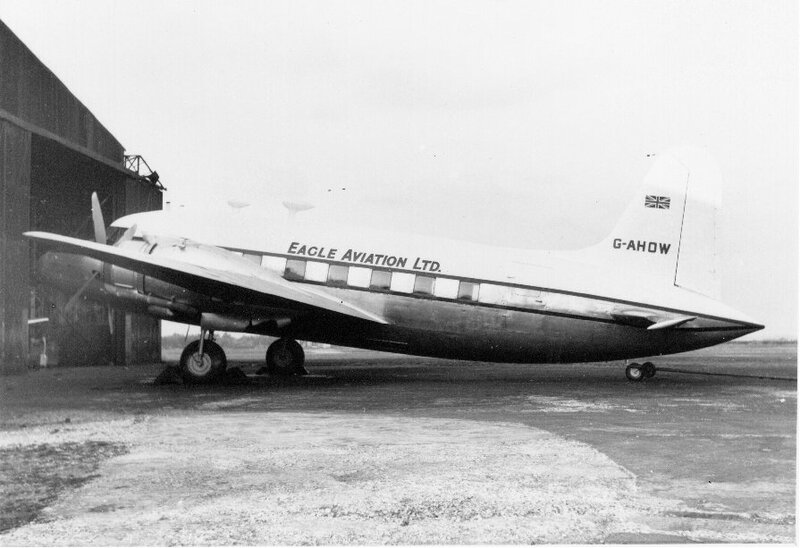 Purchased by Eagle Aviation Ltd from Crewsair Ltd in November 1952. Withdrawn from use and broken up at Manston, Kent in September 1967. It served with Trek Airways as ZS-DKI and later with Air Safaris, Eros, Air Ferry and Invicta as G-AHOW.